If you are a foreign national setting foot in Norway, you’ll surely need Norwegian translations to cope up with anything. On the other way around, as a Norwegian setting foot to any other country; you must also take into consideration that Norwegian to English translation services or to any other language, and vice versa, are equally necessary. Now, worry no more because NordicTrans is here to serve you with all those kinds of translation needs and we deliver on time with the highest quality outputs at low prices. 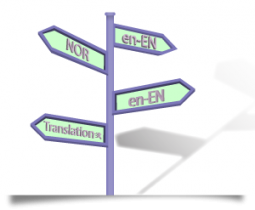 Whether you need translation services for business related projects, for personal and legal uses, or for any other fields and areas that you need translations for, NordicTrans can do it. We specialize in translations of the Nordic or Scandinavian languages, including Norwegian to English translations, and of any other language that our clients would specify. We only employ the services and expertise of native speakers as translators in our in-house teams comprised of translators, proofreaders, and project managers. 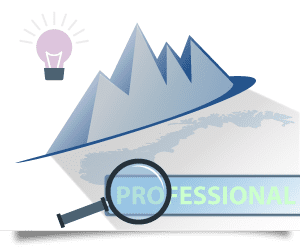 We are committed in rendering the best and highest quality of translation services and we always adhere to standards updated and monitored by the International Standard Organisation (ISO) and the American Translators Association (ATA). We always put quality assurance along with proper project and time management on top of our priority list. Because of this, we always make sure that your projects are delivered spot-on and right on time as you specified, not to mention that you get all these at the best prices and the most affordable rates there are in the market today. Since we started the translation company in 1999, NordicTrans has been always trusted by many. This has even led us to be one of the leaders among the other translation service providers all around the world today. At NordicTrans, we cater to customers on a global scale, translating a wide range of language combinations, and continually expanding our services all around the globe. In our over 17 years of being in the industry, we have now become the largest operating translation services company in the whole Northern Europe and among top 5 in the world. All our in-house teams of native translators doing any translation project, like a Norwegian to English translation, are always up for the challenge of providing our customers with excellent and affordable translation services. We are always ready to take on any type or kind and size of projects that you may have. We don’t have nor impose any additional charges and hidden fees for all translation projects done for the weekend or placed on such a short notice. Customer satisfaction is our guarantee and is what we always live and work for. Being a traditional and extensively used language in the Scandinavian countries, it’s often required to translate from Norwegian into English. Several translation agencies offer Norwegian to English translation services. Some of these services are provided by translation specialists, who hold abilities and expertise to perform English translation accurately and carefully. Strategic and business services generally use such services in order to expand globally. Further, there are a lot of Norwegian organizers managing international businesses which often need to interact with other communities using English. Norwegian to English translation services are precious in such circumstances; therefore some businesses outsource their translation needs to expert agencies. At NordicTrans, the translation services we offer include not only document translation, but website, software and mobile-app translations also. Translating Norwegian to English may not seem as hard as other languages, because like most Western European languages, they share a common glossary to some extent, such as Velkommen (welcome), over (over), etc, but also because it has much simpler grammar construction. For instance, a present tense expression is given by adding an -r to the verb, such as jeg har (I have), du har (You have), etc. Despite that, translating Norwegian may be a challenge, and this is why we always employ skilled Norwegian translators to do this translation, as it would offer an authentic, quality outcome, perfectly adapted to the market. Despite common belief that Norwegians don’t easily immigrate, there are numerous people who either travel for business or pleasure or want to immigrate to the UK or to the US and in such cases, they need certified translation of their personal documents. Our services are not only oriented to businesses, but also to individuals looking to translate personal documents like birth, marriage and divorce certificates or their education records into English. If you are looking for fast, yet accurate certified or notarized translation, we can help you. We deliver such translations in under 24 hours and we charge some of the lowest prices in both US and UK. Even more, all such translations are done by specialized translators who are aware of the requirements and we guarantee acceptance at any immigration offices in both US and UK. To get a free quote for any document use our certified translation tool. Upload your file (which can be a scanned document or a high quality picture taken with your smartphone), select the languages and the type of translation and add your contact details. 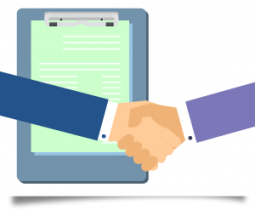 Our tool will give you our price and if you agree to it, you have the option to pay the invoice immediately and we will start translating your document as soon as the payment is received. 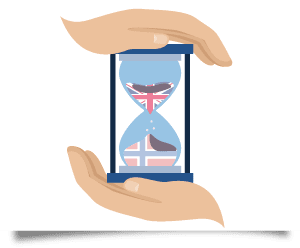 Whether you require documents translated from Norwegian to English or you need translations from Norwegian into various languages, our project managers will be able to give you competitive rates. You can specify any translation service or project that you want us to do for you. We cater to projects from all sorts of fields or areas such as Business, E-commerce, PR and Marketing, IT Related, Industrial, Technical, Legal, Medical, Press and Editorial, Media Communication, Telecommunications, and Websites. There aren’t many companies which offer Norwegian to English translation. There are a few professional Norwegian translators who are exceptionally good with both languages; English and Norwegian. There are a number of very good reasons one would want Norwegian to English translation. The most important is immigration, if a person is from Norway and wishes to move to an English-speaking country such as the United States of America or the United Kingdom, all the legal documents will have to have certified English translation. Another reason is purely corporate. If a business, originally from Norway, wishes to spread its roots to any English country, the website, the advertisements and any other documents will have to be translated from Norwegian to English. NordicTrans is the best choice if you wish to get the most reliable Norwegian to English translation services at low rates. We provide top-notch translation and localization services from Norwegian, not just in English, but also in German, French, Swedish or any other language. We provide error-free translated documents perfectly localized to your target market as we have Norwegian experts on board who are not just linguistic experts but also have profound knowledge of both cultures and have been or are living right there in the country you need to expand to. To get in touch, calling, emailing us or visiting our website are the easiest things to do. You will find here our very own web based project management system and a 24/7 customer service portal thru live chat. We also offer here our online live quoting and word counting for any translation project you have. Contact us now and let’s get your translation project started. We will deliver it on time, with the high quality and accuracy that you need, all at really affordable rates.